Red-tanned cow’s leather. Zipper and pull made of nickel plated brass. 20,5 x 14 x 2,5 cm. weight 210 g. Leather Writing Case Without Contents. Sonnenleder. With age it becomes noble. In addition to their very practical aspects, what characterizes the products from Sonnenleder is that with age they become more interesting and individual. The company with headquarters on Lake Constance uses traditional methods to process vegetable tanned leather from south German cattle. The design is no-nonsense and to the point. The undoctored photo documents the aesthetic and material aplomb of a Sonnenleder writing case which after seven, to say the least, „robust“ years of service in school, is none the less for wear. 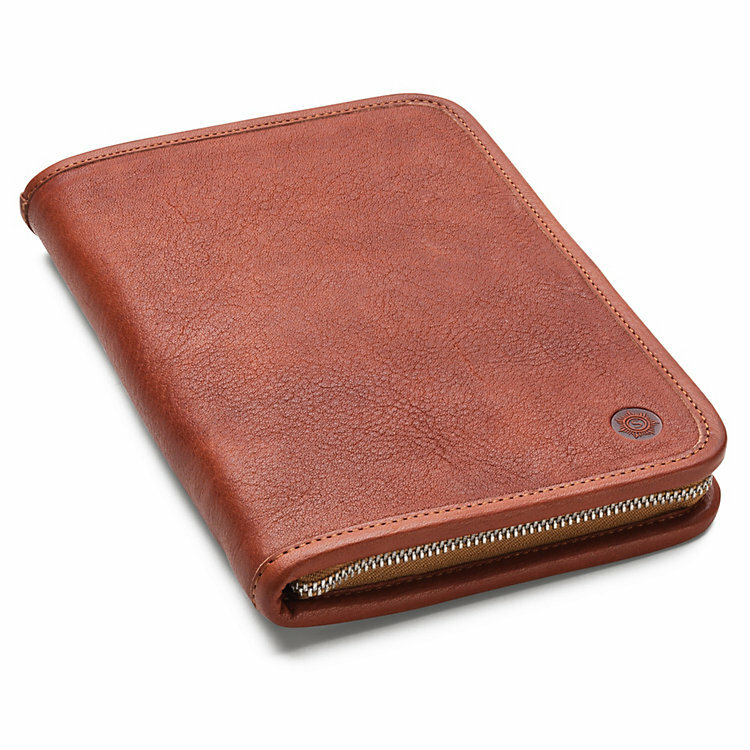 When undyed, Sonnenleder leather has a characteristic light brown reddish color (which is why it is called ”red tanned“). Every batch looks differently. In time, use and exposure to the sun changes its color, with a protective patina giving the leather an unmistakable appearance. Even the black leather, after a time-consuming vegetable tanning process in a barrel, develops a glistening patina that bears witness to its purity and provenance.